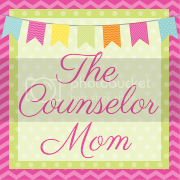 The Counselor Mom: I Can Do It Myself! But I believe that the best goal as a parent is to help our children be on their own by the time they are 18, right? We start out hand holding everything, but then slowly over the years hand things off to our kids. It does seem we are in the rescue generation of parenting lately though. My friends and I all joke that 'back in the day, we rode on the arm rests in our parents' cars with NO seatbelts!' Now we have mega size car seats to protect our kids until they are 10, puddle jumpers for my 5 year old, and sippy cups so they won't spill. Yes, these are all safety related with good reasons, but are we over doing it and not allowing our kids to learn on their own and accomplish tasks? I recently read a new parenting book that discussed mastery and figured I should start working on that more in my house. It's called Peaceful Parent, Happy Kids by Dr. Markham. It defines mastery as when kids achieve things on her own and can grow into independent adults. Mastery is a great tool to have as it also increases their self esteem. And I have felt like recently I haven't been doing as good a job at encouraging mastery as I should. I have been guilty of doing things for my kids because I can do it faster, and get us out the door. Or because I worry about their safety and probably 'helicopter' around so they don't fall, or get too dirty on the playground. So how do we build more mastery skills? 1. Help build confidence by letting them tackle manageable challenges: You can be there for them as backup, but give the child something you know they can probably succeed at. Knowing you as the parent are there will give them confidence. If you do it for her, or show her how, then you are telling her she isn't capable enough to do it right. And don't worry if they don't do it right. If they do it today, then great, but if not they can keep practicing. As an example, I say start small like helping put away the silverware, or cups when unloading the dishwasher. Or putting on their own shoes on the right feet to tying their own shoelaces. 2. Praise efforts, NOT results. Remember the whole praise vs. encouragement debate? We need to encourage our children and not just praise them ('good girl!'). Focus on the process and not the product. "You did that without giving up" or "you worked hard at that". Don't look at the end result but more on what they did to get the end product. When we praise, it teaches the child that someone is always evaluating them and constantly looking for affirmation from others, instead of inside themselves. 3. Teach self-encouragement: The way we talk to our child will become their inner voice. Teach our children self-talk so when they are at school or playing a sport and become discouraged, they can listen to their inner voice to motivate them. "I think I can, I think I can" is what we want our kids to be saying to themselves. So try to set a good example and say things to help motivate you when you feel frustrated so they can learn from you, and keep trying and not give up when faced with a hard task! 4. Support your child in discovering their own passions. Children are motivated when they pursue something that's important to them rather than a goal we tell them to have. Their passions may change over time but they always deserve our respect as parents. We should support them and not rescue them. Just like parents want to step in and finish the science project when it's the night before and it's 12am. If we do that, then it teaches the child he is incompetent, and he will learn you will always bail him out if needed. We want the child to finish something, feel proud and how to plan a complex project. These all sound doable, and we hope to practice more of these tips in our house. One of the goals for my kids is to be able to stand on their own when I am not there, and to speak their mind and feel confident. By gaining mastery skills, I feel like it will increase their self-esteem, and courage to do what they want to do in life! Hopefully these tips will also help you to help your child to motivate themselves and develop a sense of mastery in their lives!